Fu.D cafe is situated right in the middle of Sushant Lok-1, in the Vipul Square Complex. Since the cafe is in the office complex, it is mostly undiscovered which works to its advantage, giving it an exotic feel. The cafe offers the best value for money meals in Gurgaon. 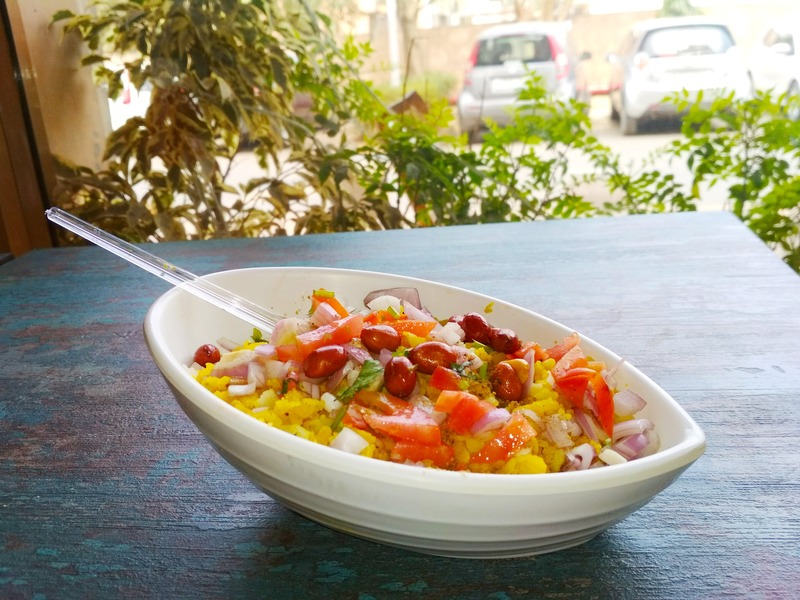 Their signature dish, Poha, is garnished with chopped onions, tomato, lemon, coriander leaves and peanuts. There are plenty more options to indulge in like mouth savoring sandwiches, cereals, egg dishes, wraps, momos, pasta, shakes etc. Also, everything is absolutely pocket-friendly, the sandwiches are priced at INR 50 and Chai at INR 15. The road to the cafe is quite messed up. It is better to take the road beside the Galleria Market for a less bumpy ride. The passion for serving good food can be seen right across the counter where Mr. Anurag, the owner can be seen diligently directing the staff in the kitchen to ensure perfection.